Your wedding day is one of the best and happiest times of your life. Make it even better with an exclusive limousine or luxury transportation service from Reston Limousine. During the wedding transportation service, our experienced drivers transport wedding couples and their parties to their ceremony and reception destinations ensuring that everyone has a safe and fun day. We are committed to helping you plan the perfect stress-free wedding, so reach out to Reston Limousine today to learn more! Why should you use Reston Limousine as your wedding transportation provider? Even though we have the highest safety ratings possible from the U.S. Department of Transportation and U.S. Department of Defense, we have gone beyond those standards to offer extra safety features in our vehicles. Our 24/7 in-house operations ensures you will always speak with a live person anytime you call. Our fleet of more than 200 privately owned vehicles is large enough to take care of your every need, but personal enough to make your special day extraordinary. Our professional, courteous chauffeurs are impeccable in their black suit, black shoes, white shirt and company tie. 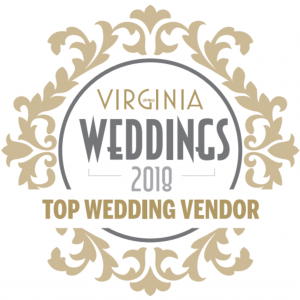 Our experience of more than 20 years of serving brides in the DC area. For a complete list of events to keep in mind when planning the transportation up to and after the big day, click here to view our Wedding Transportation Checklist! For couples seeking packages with multiple vehicles, click here to view our most popular Wedding Packages!